Born in Melbourne in 1971, Benjamin lives and works in Sydney. From 1989 until 1990 he studied at the Pratt Institute in New York. He has had 18 solo exhibitions since 1992 in Sydney, Perth, Melbourne, London and Hong Kong. He has also been represented in numerous group shows, including Art London 2001 and the 2000 Fleurieu Landscape Prize. In 1997 he won the Kings School Art Prize. 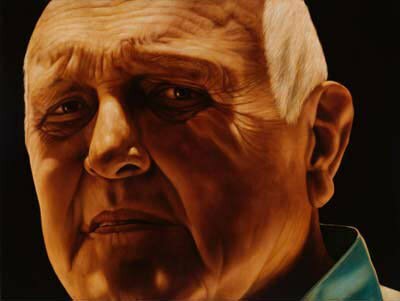 This is his first time in the Archibald Prize though he has been hung in the Salon des Refusés twice.